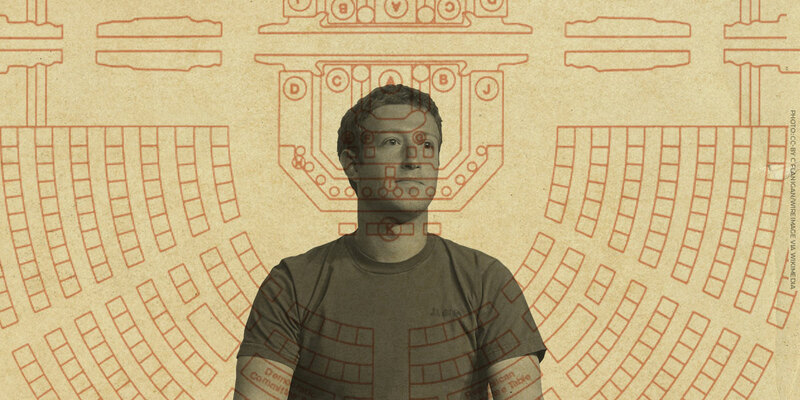 Mark Zuckerberg, Facebook’s founder and CEO, thinks people want targeted advertising. The “overwhelming feedback,” he said multiple times during his congressional testimony, was that people want to see “good and relevant” ads. Why then are so many Facebook users, including leaders of state in the U.S. Senate and House, so fed up and creeped out by the uncannily on-the-nose ads? Targeted advertising on Facebook has gotten to the point that it’s so “good,” it’s bad—for users, who feel surveilled by the platform, and for Facebook, who is rapidly losing its users’ trust. But there’s a solution, which Facebook must prioritize: stop collecting data from users without their knowledge or explicit, affirmative consent. It should never be the user’s responsibility to have to guess what’s happening behind the curtain. Right now, most users don’t have a clear understanding of all the types of data that Facebook collects or how it’s analyzed and used for targeting (or for anything else). While the company has heaps of information about its users to comb through, if you as a user want to know why you’re being targeted for an ad, for example, you’re mostly out of luck. Sure, there's a “why was I shown this” option on an individual ad", but each generally reveals only bland categories like “Over 18 and living in California”—and to get an even semi-accurate picture of all the ways you can be targeted, you’d have to click through various sections, one at a time, on your “Ad Preferences” page. Even more opaque are categories of targeting called “Lookalike audiences.” Because Facebook has so many users—over 2 billion per month—it can automatically take a list of people supplied by advertisers, such as current customers or people who like a Facebook page—and then do behind-the-scenes magic to create a new audience of similar users to beam ads at. Facebook does this by identifying “the common qualities” of the people in the uploaded list, such as their related demographic information or interests, and finding people who are similar to (or "look like") them, to create an all-new list. But those comparisons are made behind the curtain, so it’s impossible to know what data, specifically, Facebook is using to decide you look like another group of users. And to top if off: much of what’s being used for targeting generally isn’t information that users have explicitly shared—it’s information that’s been actively—and silently—taken from them. Just as vague is targeting using data that’s provided by third party “data brokers.” Changes by Facebook in March to discontinue one aspect of this data sharing called partner categories, wherein data brokers like Acxiom and Experian use their own massive datasets combined with Facebook’s to target users, are the kinds of changes Facebook has touted to “help improve people’s privacy”—but they won’t have a meaningful impact on our knowledge of how data is collected and used. But we don’t have 10 or 20 years. We’ve entered an uncanny valley of opaque algorithms spinning up targeted ads that feel so personal and invasive that both the House and the Senate mentioned the spreading myth that the company wiretaps its users’ phones. It’s understandable that users have come to conclusions like this for the creeped out feelings that they rightfully experience. The concern that you’re being surveilled persists, essentially, because you are being surveilled—just not via your microphone. Facebook seems to possess an almost human understanding of us. Like the unease and discomfort people sometimes experience interacting with a not-quite-human-like robot, being targeted highly accurately by machines based on private, behavioral information that we never actively gave out feels creepy, uncomfortable, and unsettling. The trouble isn’t that personalization is itself creepy. When AI is effective it can produce amazing results that feel personalized in a delightful way—but only when we actively participated in teaching the system what we like and don't like. AI-generated playlists, movie recommendations, and other algorithm-powered suggestions work to benefit users because the inputs are transparent and based on information we knowingly give those platforms, like songs and television shows we like. AI that feels accurate, transparent, and friendly can bring users out of the uncanny valley to a place where they no longer feel unsettled, but instead, assisted. But apply a similar level of technological prowess to other parts of our heavily surveilled, AI-infused lives, and we arrive in a world where platforms like Facebook creepily, uncannily, show us advertisements for products we only vaguely remember considering purchasing or people we had only just met once or just thought about recently—all because the amount of data being hoovered up and churned through obscure algorithms is completely unknown to us. Unlike the feeling that a friend put together a music playlist just for us, Facebook’s hyper-personalized advertising—and other AI that presents us with surprising, frighteningly accurate information specifically relevant to us—leaves us feeling surveilled, but not known. Instead of feeling wonder at how accurate the content is, we feel like we’ve been tricked. To keep us out of the uncanny valley, advertisers and platforms like Facebook must stop compiling data about users without their knowledge or explicit consent. Zuckerberg multiple times told Congress that “an ad-supported service is the most aligned with [Facebook’s] mission of trying to help connect everyone in the world.” As long as Facebook’s business model is built around surveillance and offering access to users’ private data for targeting purposes to advertisers, it’s unlikely we’ll escape the discomfort we get when we’re targeted on the site. Steps such as being more transparent about what is collected, though helpful, aren’t enough. Even if users know what Facebook collects and how they use it, having no way of controlling data collection, and more importantly, no say in the collection in the first place, will still leave us stuck in the uncanny valley. Even Facebook’s “helpful” features, such as reminding us of birthdays we had forgotten, showing pictures of relatives we’d just been thinking of (as one senator mentioned), or displaying upcoming event information we might be interested in, will continue to occasionally make us feel like someone is watching. We'll only be amazed (and not repulsed) by targeted advertising—and by features like this—if we feel we have a hand in shaping what is targeted at us. But it should never be the user’s responsibility to have to guess what’s happening behind the curtain. While advertisers must be ethical in how they use tracking and targeting, a more structural change needs to occur. For the sake of the products, platforms, and applications of the present and future, developers must not only be more transparent about what they’re tracking, how they’re using those inputs, and how AI is making inferences about private data. They must also stop collecting data from users without their explicit consent. With transparency, users might be able to make their way out of the uncanny valley—but only to reach an uncanny plateau. Only through explicit affirmative consent—where users not only know but have a hand in deciding the inputs and the algorithms that are used to personalize content and ads—can we enjoy the “future that we all want to build,” as Zuckerberg put it. Arthur C. Clarke said famously that “any sufficiently advanced technology is indistinguishable from magic”—and we should insist that the magic makes us feel wonder, not revulsion. Otherwise, we may end up stuck on the uncanny plateau, becoming increasingly distrustful of AI in general, and instead of enjoying its benefits, fear its unsettling, not-quite-human understanding.